But real growth of 6.6 percent in China was the slowest pace of growth in 28 years, since 1990. For good measure, growth is expected to slow further during the coming year in China. So, what do we do with this information? It’s hard to say, actually. Official GDP data from China is, to be generous, less than reliable. China remains a country under control of its Communist Party, which has every incentive to dress up economic growth. 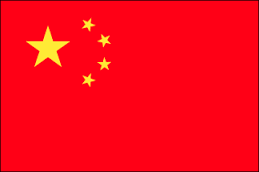 In addition, while it has injected certain market aspects into its economy, China remains a state-run economy. The government continues to manipulate production, debt, consumption, etc. For good measure, there are concerns about a global economic slowdown, which would inflict harm on Chinese exports. Plus, ongoing trade conflicts with the U.S. create additional problems – in China and in the U.S.
• First, the combination of a slowing Chinese economy and a trade war with the U.S. reduces opportunities for U.S. exporters and their workers. Consider that from 2000 to 2017, U.S. merchandise exports to China grew by a breathtaking 702 percent. Meanwhile, from March 2018 through October 2018 (latest data available), merchandise exports from the U.S. to China have steadily declined – from $12.4 billion in March to $9.1 billion in October. So, as the trade war has heated up, U.S. exporters have paid dearly. • Second, the U.S. should be pushing China to become more of a market economy, but demands by U.S. officials that China officials make sure that more products from the U.S. are bought effectively works in the opposite direction. After all, if a government controls such major transactions that means, by definition, the government controls the economy. The U.S. tacitly is reinforcing continued government-control over the Chinese economy. • Third, with an economic slowdown and the Chinese government’s reaction, it would not be surprising to see less progress being made on other fronts regarding the need for China to transform into a true market economy, including on the foundational issue of establishing and protecting property rights, including intellectual property. Due to ongoing economic ignorance and a focus on maintaining power, it would not be surprising for China’s government to continue talking a pro-property-rights agenda to the world, while in reality, persisting with a system that undermines such rights. • Fourth, as we have seen, U.S. tariffs on Chinese imports wind up hurting U.S. consumers and businesses, given increased costs for consumer goods and for the various products that serve as inputs for American businesses. On the policy front, trade policy stands out as a major uncertainty for U.S. entrepreneurs, businesses, workers and consumers. Indeed, the current trade agenda of increased tariffs and regulations flies in the face of and works against the non-trade agenda put forth by the Trump administration of tax and regulatory relief. The unfortunate question regarding the Trump administration’s trade policies is: How deeply will this ineffectual trade trade agenda undermine the growth being boosted by positive tax and regulatory policies? Raymond J. Keating is chief economist for the Small Business & Entrepreneurship Council. Copyright © 2018 Small Business and Entrepreneurship Council. All rights reserved. Any copying, redistribution or retransmission of the contents of this service without the express written consent of SBE Council is expressly prohibited.